Wanted to let you know about some upcoming dates for Colorway and for Two Man Guy (I’ll explain about that later). This coming Friday we will be playing a free 75 minute set at one of our favorite outdoor events, The Taste Of Amherst! Located right on the Amherst Common the Taste is a longstanding tradition in the valley. Tons of food vendors from all the local restaurants, a petting zoo, plenty of fun for the kids and music, music, MUSIC! In fact, Colorway’s own Riley Godleski will be playing tonight (Thursday) at the Taste from 8-9 with an amazing local singer/songwriter, Mikey Sweet. As for Colorway we will be playing Friday from 6:45-8pm and will be debuting a brand new song. “Love Is All Around You” is the first tune that I’ve written and arranged with Riley and Matt and I’m extremely excited to play it for you all. Next weekend is a big one as well. Friday, June 24 we are extremely proud to be teaming up with one of the best instrumental rock/fusion bands in the area, Mammal Dap for a special show at the Ashfield Lakehouse! The show is a measly $5 for a whole night of unstoppable energy. I can assure you if you make the journey to one of the Hill Town’s best kept secrets you will be thankful you did. We will play the first set and get the room warmed up for the eventual melting of faces and shaking of souls that will commence when The Dap hits the stage. Saturday night will be a nice and early set (7-8pm) by Two Man Guy at Luthier’s Co-op in Easthampton. Two Man Guy (or 2MG) is the duo of me (F. Alex Johnson) on guitar and vocals and Scott Hall, my old compatriot from Drunk Stuntmen, on keys and vocals. So there you go, gang. It’s been a sad week on a lot of levels and I would be lying if I said it didn’t affect me deeply. But music can soothe the soul and bring people together. That’s why I do it and that’s why I’ll keep doing it as long as I can. I hope you can join me and Riley and Matt and Mammal Dap and Scott over the next couple of weeks. We will be sure to give you all we got, as it were. Below are the specifics on all the shows mentioned above. Thanks for being part of our world. It’s great to be part of yours. Colorway plays a full set of tunes at the annual foodie fest on the Amherst Common. The fest runs Thurs-Sun 6/16-19 and features food, food, food, kids activities, beer and wine and so much more. Always a good time. Click here for the full music schedule. Friday, June 24, Colorway And Mammal Dap at The Ashfield Lakehouse! Colorway makes their first appearance at one of the most laid back and inviting rooms in the valley, The Ashfield Lakehouse. We will be opening this show with a set at 9pm. Then, our good friends, Mammal Dap take over and faces will continue to melt pretty much all night. This is an all ages event! Join or share the Facebook Event Page here. Come early and have some amazing food. Kitchen serves dinner until 10pm! Menu here. 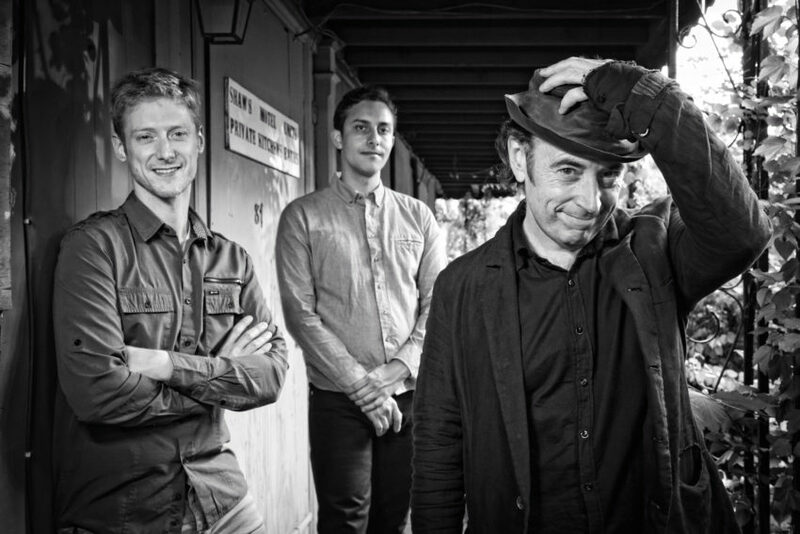 Mammal Dap is adventurous, instrumental rock fusion based in Northampton, Massachusetts. The band is comprised of Killian Karlsson (guitar), Zack Cross (keys), Reed Sutherland (bass, synth bass), and Colin Jalbert (drums, samples). Together, the four mammals combine elements of rock, EDM, hip-hop, and funk to create a sound that is forward-thinking yet nostalgic, indescribable but strangely familiar. Their energetic live shows and rigorous touring have elevated crowds from New England to New Orleans, leading them to share the stage with acclaimed bands such as The Nth Power, Tauk, Marco Benevento, Toubab Krewe and many more. Colorway will be playing with Mammal Dap again this summer at The Beachcomber on Thursday, Aug 4. Saturday, June 25, Luthier’s Co-op Two Man Guy (Alex and Scott): One Night Standing! Scott Hall of Drunk Stuntmen and F. Alex Johnson perform at the most wonderful small room in the valley. Throughout their several show span 2MG have opted for chairs . . . until tonight. Come see Two Man Guy: One Night Standing and you will witness two guys who aren’t afraid to step up and stand out. They will be playing music of Drunk Stuntmen, Colorway and each other’s solo tunes as well as a choice selection from Billy Joel’s, The Stranger.